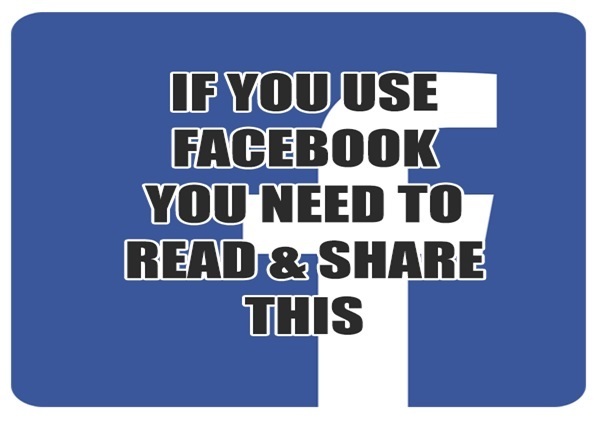 If you use Facebook you need to Read and Share THIS! Facebook's changes in 2014 are going to receive A LOT of backlash from users! Recently Facebook cut FB Pages organic reach down to 2%. What does this mean? Simply that, meaningful content that would normally reach a lot of people and make an impact on them is now only going to hit a FRACTION of what it used to. People who spent years building an engaged audience now have to pay for their audience to see their content. Essentially destroying any value that was created by being a good brand. Facebook wants people to pay for their content to reach people now. What does this mean for us? The message we spread will only reach a fraction of people now. Facebook is effectively cutting out our ability to hit people. How can we combat this? We need to use the fact that we are the masses. Please share this post. These changes have already received a huge backlash from pages all over the world. The Result: Self-affirming content streams, 'filter bubbles' which won't expose viewers to new perspectives.